Money Management: Should You Consolidate Your Loans? As an alternative to credit negotiations, many people attempt to pay off multiple debts such as student loans themselves. It is possible to consolidate your loans, which groups existing loans under the umbrella of a larger, new loan that is used to pay off the existing loans. 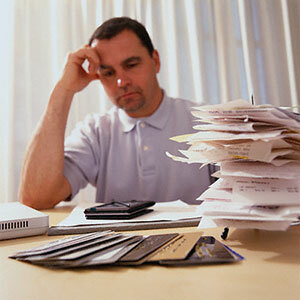 As with any money management decision, there are pros and cons to consolidating your loans. Should you take the convenience of a single monthly payment or heed the potential downsides of loan consolidation? Deciding to consolidate your loans is a great way to make your life easier. You will be focused on making one payment instead of having to keep track of all your different bills. However, there are other loan consolidation benefits that make for good money management. If you borrowed before 2006, it is possible take loans with those unpredictable variable interest rates and lock them into a single rate. For people who have a lot of federal loans, consolidation is a particularly appealing option. However, consolidation isn’t as friendly for those with private loans, especially since there is no fixed interest rate. Consolidation can lead to greater flexibility. For those temporarily struggling financially, deciding to pursue an income-contingent repayment plan is a good money management option, as your monthly amount is based on what you can pay. Paying more total interest. Since consolidation offers the option of making smaller monthly payments, those without strong money management skills might pay more interest in the long run if they don’t stick to an accelerated plan. Interest will continue to accrue the longer the loan is unpaid. Losing current benefits. Any perks you have such as interest discounts or rebates will be lost after a consolidation. Furthermore, since a consolidation equalizes you interest rates, you lose the benefits of any loans that had a smaller interest rate. A better money management strategy would have been to pay back the loans with high interest rates first. Loss of your grace period. Many people excited to handle their loans decide to consolidate while one or all are still the grace period. However, this can void that period and begin the re-payment process immediately.